Texas State Railroad – SAVED! The state of Texas is in danger of losing the Texas State Railroad, designated the “official railroad of Texas” by the Texas Legislature and recognized as one of the nation’s largest and most unique steam train operations. More than 56,000 people from all over the world ride the train annually, boarding in Rusk or Palestine. The Railroad began in the 1880s as a way to deliver pig iron produced by the prison located in Rusk. It has always been operated by the state or by private contractors. 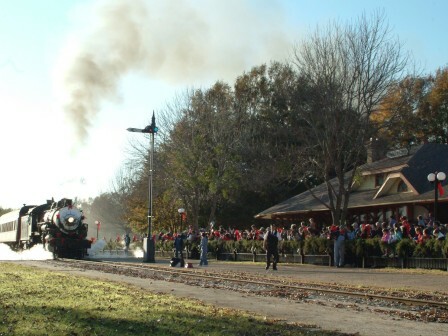 It was converted to a heritage railroad attraction in 1976 by the state legislature and is a major tourist attraction, offering visitors a chance to sample a historic travel experience. However, it is scheduled to become a static display by the end of the year. The Texas State Legislature has refused to fund its operation, and the local community has almost exhausted its financial resources. A lack of funding could close this working reminder of life in east Texas.